The Chinese New Year will be heralded in with a series of special events at Plymouth University. The Year of the Monkey officially begins on Monday 8 February, and a host of festivities will take place all over the world. But before that, the party will be getting underway early with a celebration of Chinese culture being staged in the Rolle Marquee on Thursday 4 and Friday 5 February. This is the sixth time such an event has been staged on the campus, and it will be open to students, staff and the wider community. On Thursday there will be a Chinese Activities Day taking place between 12pm and 7pm, which will include food and drink stalls and craft activities, including dumpling making, lantern painting and tea tasting. There will also be performances at the free event, featuring traditional Chinese instruments, martial arts and therapeutic beauty treatments. On Friday, there will be a night of entertainment at the Chinese New Year Gala Dinner. 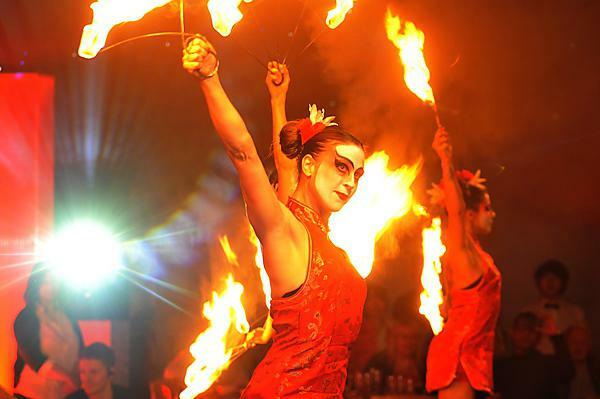 The evening will include an authentic three course dinner, along with spectacular suspended ribbon dancers, hoop aerialists, pot juggling and traditional lion dances. The evening will run from 7-10.30pm, with tickets priced at £15 person. Celebrate Chinese New Year with Plymouth University. Come and join us on campus ahead of the official Chinese year. Monday 8 February 2016 - The Year of the Monkey.